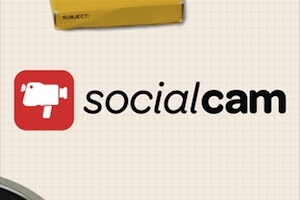 Socialcam continues to improve its iPhone app, which it hopes becomes a sort-of Instagram for video sharing. The latest update adds a bit of real-time video editing and the addition of themes, titles and soundtracks to make videos look and sound more professional. The first step in that evolution was adding filters — basically letting anyone shoot a video with a black-and-white, 1970s or sepia tinge to it. Themes take the idea a step further, by overlaying a more professional touch on top of the videos. In addition to themes, Socialcam has teamed up with music licensing company Friendly Music to provide fully licensed, instrumental background soundtracks to their videos. They can choose between 10 different tracks, based on mood, and adjust sound levels between the music and microphone. Finally, Socialcam has updated the app with a few smaller features, like notifications when Facebook friends check out a video and general Facebook Open Graph capability. It also improved video quality by about 50 percent, and added the ability to create an account with your Twitter login, in addition to Facebook or email. i dont understand how they create an app for android and iphone, but yet they only work to improve the app for iphone users. That is so not right.